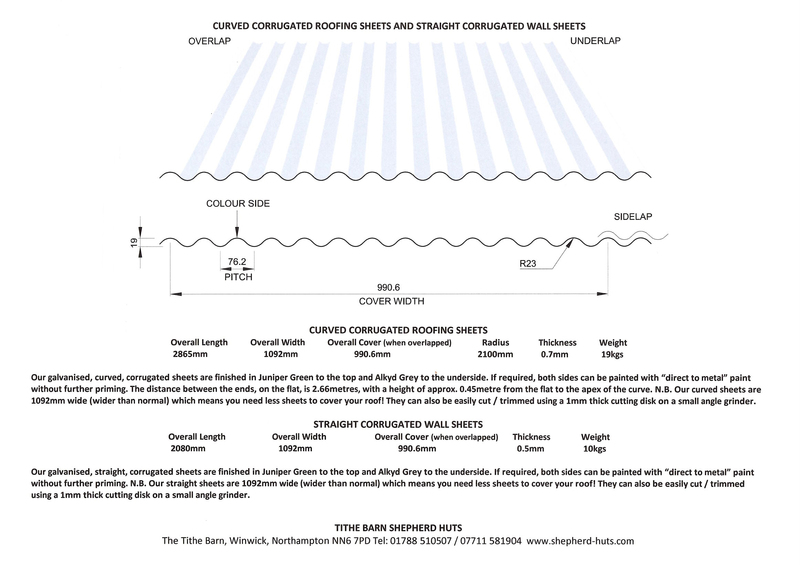 The sheets are actually 40% wider (with 14 corrugations rather than 10) and because they are 40% wider, you get an additional benefit through needing fewer sheets and therefore not losing so much coverage in overlaps. 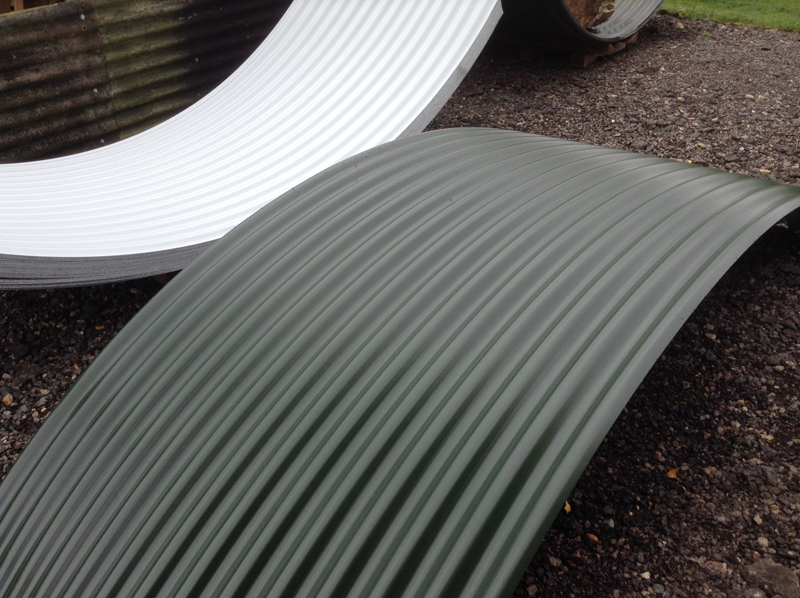 Our galvanised, curved, corrugated sheets are finished in Juniper Green to the top and Alkyd Grey to the underside. 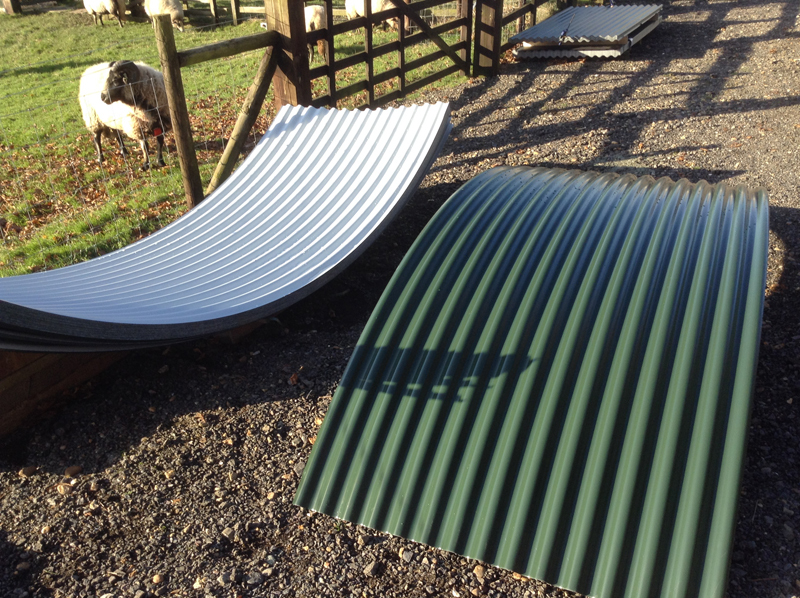 Please note that the Polymer finish does scratch quite easily. 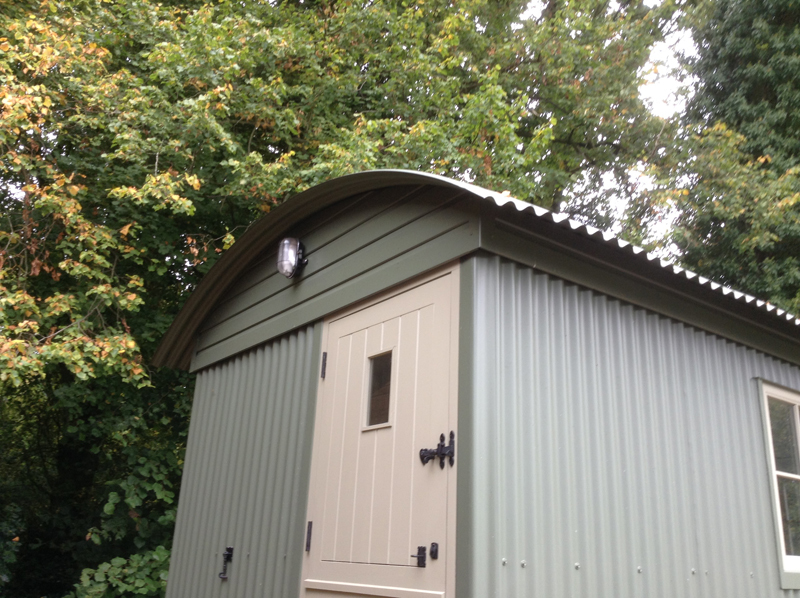 If you do not wish to over-paint but keep the Juniper Green finish, we can supply cans of spray touch-up paint – see here. 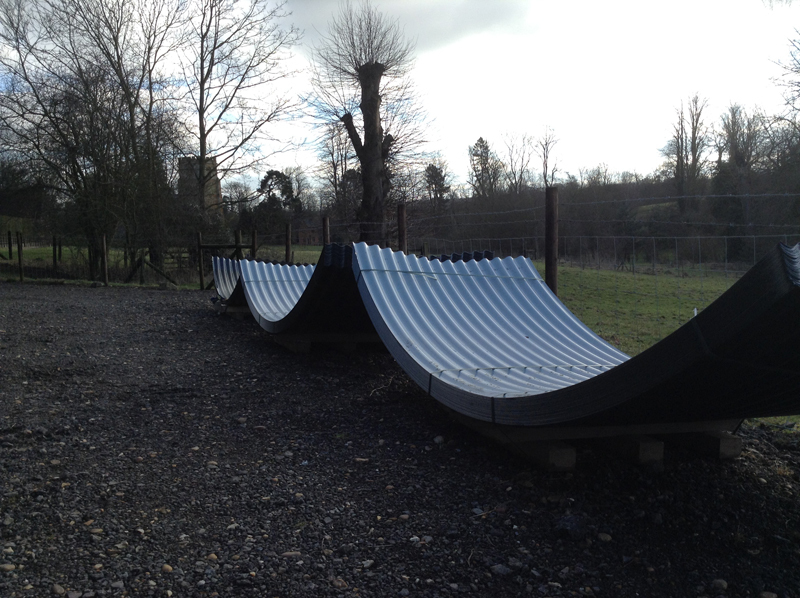 The distance between the ends, on the flat (the span) is 2660mm, with a height of approx. 470mm from the flat to the apex of the curve. 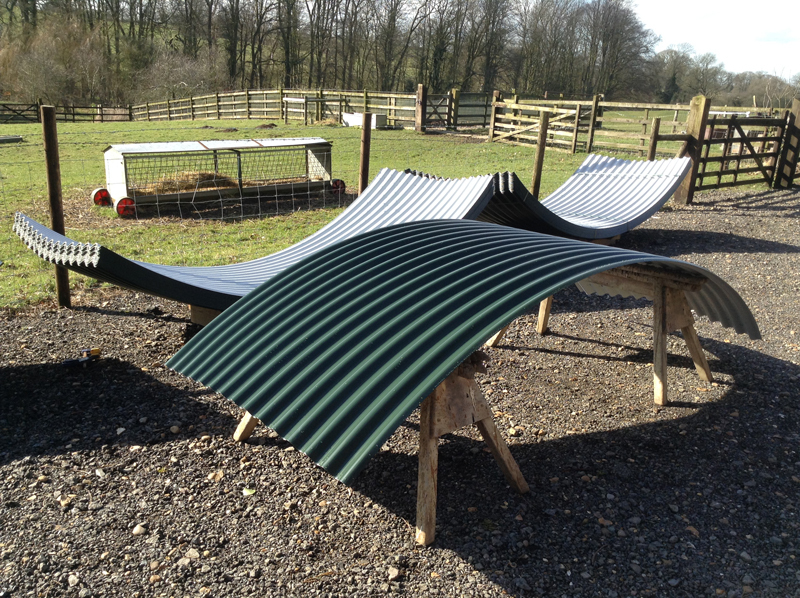 Our curved roofing sheets are wider than normal, which means you need fewer sheets to cover your roof!